Our latest Monthly Special Offer for April is Here! 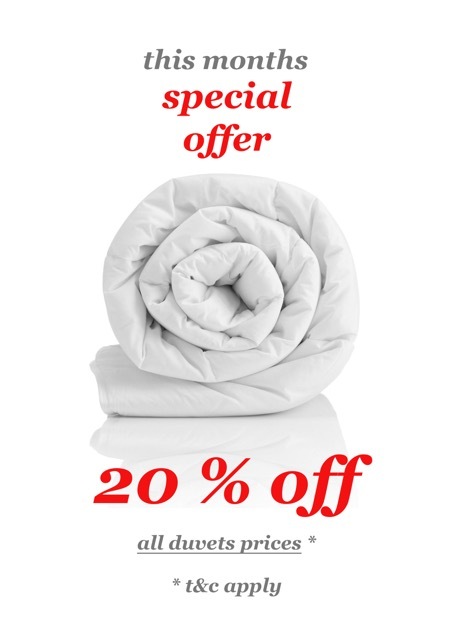 For this month only we’re giving a full 20% discount off the total cost of a duvet clean. The promotion runs across our standard cleans for single, double and kingsize duvets. Natural or synthetic fillings, we hope it helps! T&C – Can only be used in-store and not in conjunction with any other offers we are running at the time.